Smoke: Tales Between Dark and Light is Here! Seeking Wonder: Inside United House Wrecking, Inc.
On Friday afternoon, a writer friend invited me for lunch. 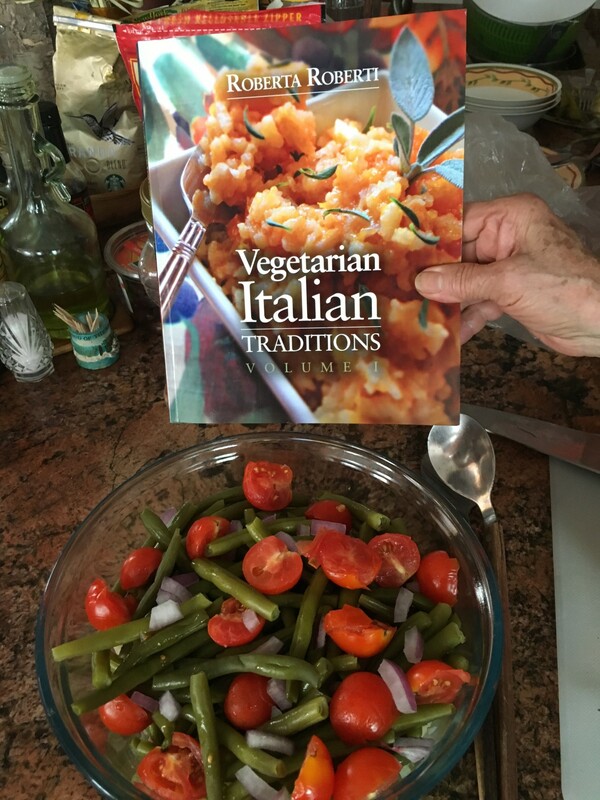 Along with homemade gazpacho soup and slices of tomato with fresh basil leaves and mozzarella, there was insalata di fagiolini, patate e pomodori (green bean, potato and tomato medley) from Roberta Roberti’s cookbook Vegetarian Italian Traditions (Volume 1). Meanwhile, bring a medium pot of water to a boil. Snip off ends of green beans. If beans are very long, snap in half. Add beans to boiling water and cook until crisp-tender, about 10 to 12 minutes. Drain and cool off under cold water; drain well. 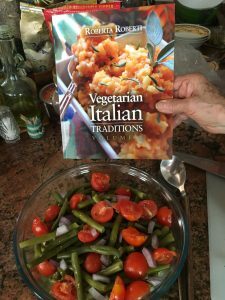 Add green beans to potatoes. Add tomatoes, onion, and oil. Season with salt, pepper, and garlic powder and mix well. Add vinegar, a little at a time, until it’s to your liking. Gently toss, cover bowl, and chill for about 2 hours. Allow to come to room temperature and toss again before serving. Taste for seasoning. Add a little more oil if it’s too dry. Keep leftovers tightly covered in the refrigerator up to 5 days. TIP: If the potatoes get a little mushy after cooking, lay them out on a baking sheet and place in a 350° oven for about 10 minutes to dry them out. The thing about this recipe is how flexible it is. My friend used cherry tomatoes, cut in half. The seasonings (including a splash of balsamic vinegar) were added right before serving, so while it might not have had the intensity it would have after being in the fridge for two hours, it had a nice little zing. I look forward to making this next summer. 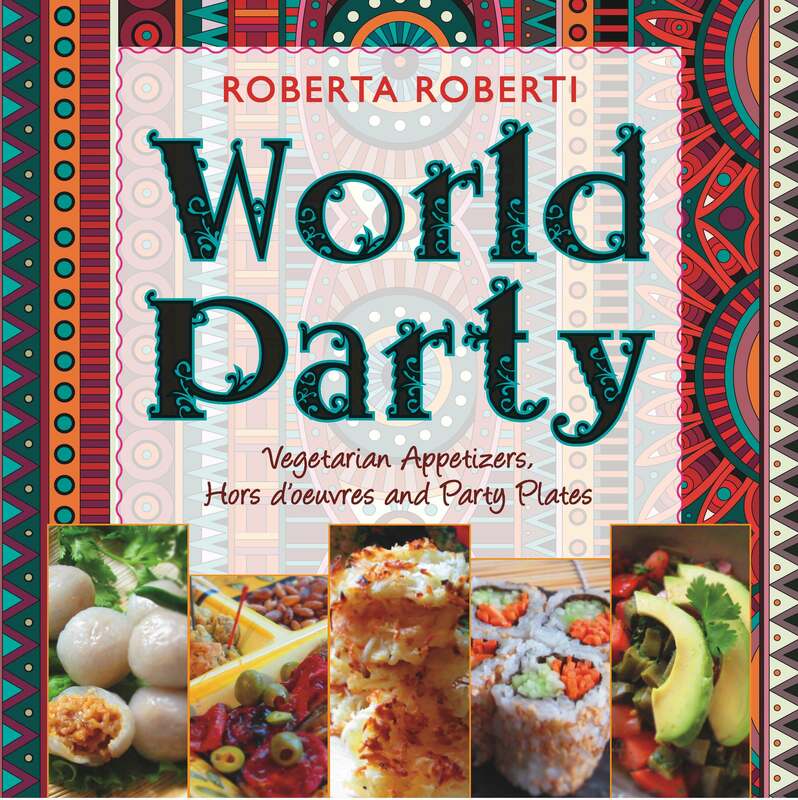 And while I love Italian food, I’m also looking forward to something different with Roberta Roberti’s new cookbook, World Party: Vegetarian Appetizers, Hors D’oeuvres and Party Plates. 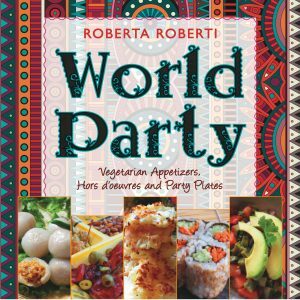 It’s coming out soon and I expect to be doing a lot of cooking.